Using plasma or serum for analysis of novel biomarkers for the early detection of cancer is an effort that spans decades. 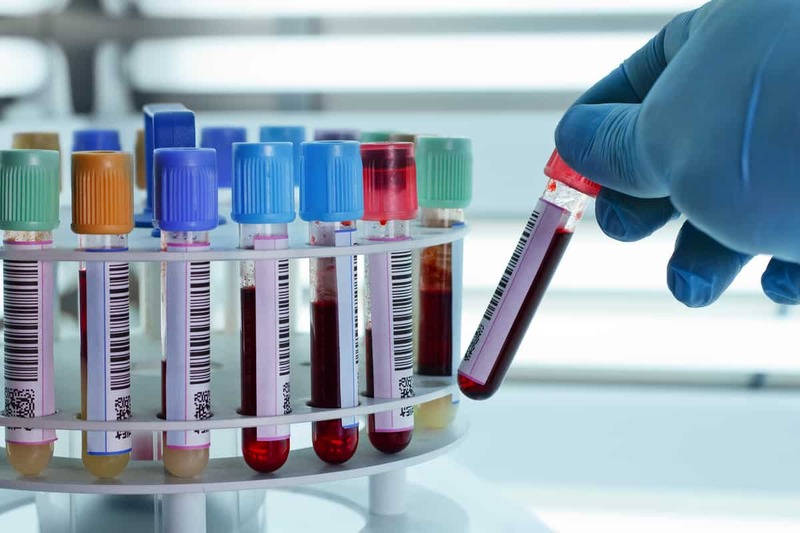 Thanks to its minimally-invasive nature, its ubiquity, and its proven diagnostic utility the modern healthcare system uses blood samples routinely. As an approximation of the very large number of blood draws per year in the United States, in 2014 it was valued at $250M; with an average ‘list’ price of a collection tube at $0.12 (Becton-Dickenson has a 95% share of the ‘Vacutainer™’ market), that represents over 2.1 billion tubes used, or over six collection tubes per individual in 2014 (the estimated population of the US was 318 million). It goes without saying there currently exists a significant existing infrastructure for the collection and handling of blood from individuals, whether healthy or not. In a prior post we looked at the importance of sample preparation (“Optimum plasma sample collection and handling for cell-free DNA liquid biopsies”) for analysis of cell-free DNA, in particular preserving the circulating tumor DNA (ctDNA) fraction. In individuals affected by cancer, the percentage of ctDNA (including circulating tumor methylated DNA [ctmDNA]) may range as high as 93% down to 0.01%. The reason for the wide range of the amount of circulating tumor DNA in the blood is the amount of apoptosis (programmed cell death) and necrosis (other cell death) associated with cancer. Serum and plasma are different blood-derived intermediates that have been processed differently. Serum is blood that has been clotted by leaving a blood sample at room temperature for 30 to 60 minutes, then centrifuging the sample to remove the cellular component. The serum thus lacks clotting factors, and has been used for decades for analysis of protein biomarkers using a variety of technologies (from the venerable ELISA assay first described in 1978 to Liquid Chromatography-Mass Spectroscopy [LC-MS] to even newer approaches such as Quanterix Simoa™). Although there was a burst of activity for searching protein biomarkers after the completion of the Human Genome Project, the rate of US FDA approval of protein-based assays is considered ‘far short of what is needed… and indicates serious deficiencies in the protein biomarker pipeline’. Additionally, after decades of focused and intense research emphasis most notably by the US National Cancer Institute for protein markers of early detection of cancer, none of the accepted screening methods today use any protein marker. (For the current incidence rates and screening methods used we wrote about it here.) It is worth noting that the two existing FDA-approved screening tests for colorectal cancer (CRC) are both based upon methylation status of CRC-related genes, and not protein biomarkers. Several longitudinal studies in the US and the UK that were started with the anticipation of validating putative protein biomarkers have stored their samples as serum. What makes serum not most useful for circulating tumor DNA analysis? One weakness of this study, while using serum, is a close examination of the pre-analytical variables (i.e. how exactly the serum was prepared and stored long-term), which will affect the amount of non-specific cell lysis that occurs in the clotting phase. As a result, the Early Detection Research Network (EDRN) published a consensus statement for Standard Operating Procedures for Serum and Plasma Collection. For long-term storage, -80C is the EDRN’s recommendation, minimizing freeze-thaw cycles with planning for single-use vial aliquots and dry ice shipments in transit. There are a variety of anticoagulants available, including citrate, EDTA, or heparin collection tubes. The EDRN Working Group-recommended anticoagulant is EDTA, “the additive deemed most universally usable for our work.” Both citrate and heparin were specifically excluded due to considerations of interfering with some types of protein assays. While their SOP document does not cover the preparation of cell-free DNA, we have written about the need for spinning down cells twice within four hours of collection and promptly stored frozen here.